L.A. Perks is a Petroleum industry specialist and third generation family owned and operated business committed to safety and having a highly trained, skilled and certified workforce. LeRoy (Roy) A. Perks Sr. began his plumbing/mechanical career at his Brother-in-law’s (Paul Keife) plumbing business. In 1974, Roy started his own business, L.A. Perks Plumbing, and in 1975 hired his first employee, LeRoy (Lee) A. Perks Jr. Perks’ was rapidly developing a "can do" "will do" reputation within the industry. It was not long before Allied Petroleum approached them to assist with their 1986 expansion and with that, Perks petroleum side of the business was born. The success of the Allied Petroleum project garnered the attention of several other major oil companies which secured additional projects. The Allied project combined with the 25-gas station build contract with Southland Corporation (7-Eleven) secured L.A. Perks Plumbing's position as a major petroleum contractor. The Clean Water Act 1988, Air Quality requirements, new electric equipment being used at gasoline stations and other fuel tank locations, petroleum upgrade demands and service needs accelerated and Perks rose to the challenge by adding Certified Service Technicians to their business mix. Tom Delano spearheaded this part of the business and made Perks one of the first Authorized Service suppliers in the area and is credited for the well-established and highly successful Service Department we have today. Our Focus and Expertise - "Petroleum Specialists"
As the company began to specialize strictly in mechanical and fuel related work, our company name was changed to reflect our expertise and focus. In 2009 we became L. A. Perks Petroleum Specialist, Incorporated. 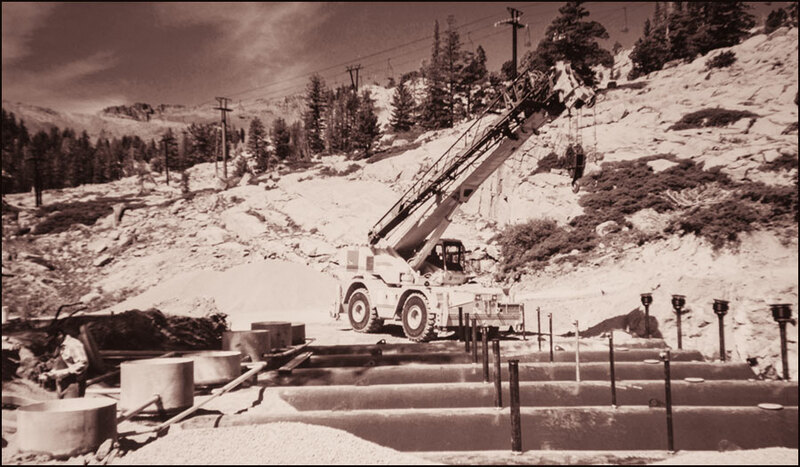 Due to a high demand for our services, a second location was opened in Elko, NV to service the north Eastern part of Nevada and the ever expanding mining operations. From humble beginnings to major player within the petroleum industry, Roy always committed to meeting the needs of his customers, providing cost-effective solutions for laws and regulations, and maintaining a highly skilled workforce; each generation continues with those same commitments. Roy's next generation, his first grandson Nathan Heckman, began working for the company in 1993, followed by Kylen Perks in 1997, and Keith Perks joined the group in 2001; over 90 years of family experience and commitment to its customers.